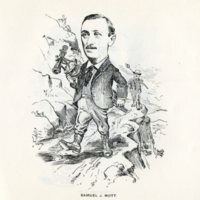 An advertisement for A.E. 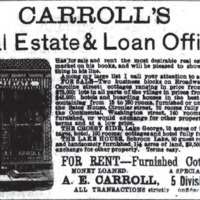 Caroll's Real Estate and Loan Office from p. 3, The Saratogian, February 4, 1890. An engraving of the business' storefront appears as part of the ad, and also on the Saratoga County map of 1890 in the Farmers' Directory.